The television series Forever (2014) has been cancelled. I can only imagine that this is strictly a ratings consideration because I can find no fault in the first season of this show. In Poetics from Aristotle, he states of tragedy, "the incidents are unexpected and yet one is a consequence of the other." Of course, he is discussing a play not the decision-making process of television executives. His point is that drama, in the form of a tragic play, feels most satisfying and is best when one can think of it retrospectively and understand that what happened was inevitable despite the events unfolding along the way in a surprising manner. When something happens in a drama that causes us to say, "I didn't see that coming," it is noteworthy because the implication is that we should have known. We should have seen the signs, the writing on the wall, the now-obvious course of events. Enter Forever. The premise: "A 200-year-old man works in the New York City Morgue trying to find a key to unlock the curse of his immortality." That man, Henry Morgan, is played by Ioan Grufford. He is a Welsh-born British actor that many know from the titular role in the BBC Horatio Hornblower series, as Reed Richards from two Mid-Naughts Fantastic Four films, and quite a bit else stretching back a couple decades. He's a solid casting choice, no gamble, and someone you should be able to build a lasting show around. 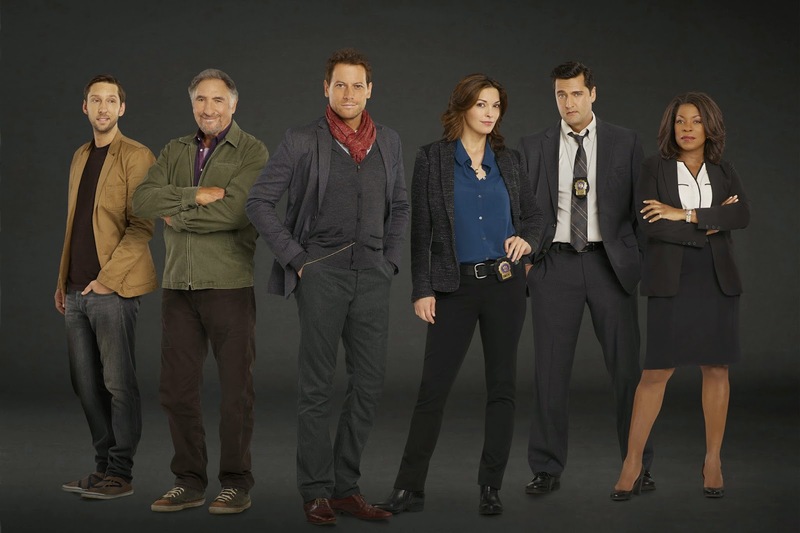 Beside Henry Morgan, two main characters evolve most strongly: Jo Martinez, an NYPD detective played by Alana De La Garza, and Abe, an antiquarian and flatmate of Henry played by Judd Hirsch. Again, solid casting and no real slackers further down the bench, as the show had no weak links as far as acting talent was concerned. As far as the writing, the stories did everything that a first season should. We were introduced to the characters with digestible morsels that didn't stuff us full and left us wanting a more. Each revealing bit of information felt like it fit but as if we were the only ones who had been unaware. The actors played these moments believably and smoothly. 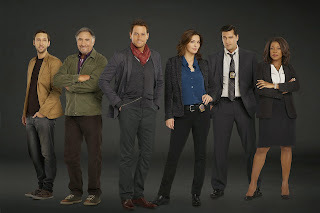 Too many first season shows have incidents where we learn something about major or minor characters that seem out of place, thrown in for unknown reasons, or contrived to the point of straining credulity but there didn't seem to be a false note between the writing of any character on Forever or their portrayals, top to bottom. As an example, Lt. Joanna Reece, played by Lorraine Toussaint (a talent with amazing range), is in a scene with Grufford where his Henry Morgan is considering skirting the law to get at the truth in a case being worked. Just as the audience is expecting to get either a sly bit of double talk by Morgan to sidestep the unit's boss or a short speech by the Lieutenant warning Morgan to not cut corners, we get something else. Reece says something vague about how her detectives cannot do something but that someone outside the department (which the Medical Examiner technically is) would not be under the same constraints. Morgan's eyebrow goes up slightly and Reece goes about other business. So how does the writing get away with this obvious violation of television writing convention? How does everyone involved avoid the trap of the cliche while not falling into the pit of contrivance? They laid the groundwork. With as little screen time as the Reece character gets, arguably the least of the weekly characters, we've seen her portrayed honestly by Toussaint as a smart, driven leader with a strong awareness of the assets she has at her disposal and a keen sense of what will get the job done. Of course she is. How could she not be. She's not in a position of command by accident or due to the Peter Principle, as so many light-drama shows seem to need their authority figures to be. This character, and all of the others, were written and acted with depth and aplomb. This was a first season show with third season performances and characterizations. So what does this have to do with tabletop roleplaying games? It's a reminder to GMs that you can ensure NPC actions won't seem to come from left field if a player can look back over what has transpired and see the steps that led to such actions. I had a recent game where a player did something to an NPC that was certainly a fair enough choice but led to a series of consequences that were unfortunate for the player character. The final result has yet to come to light but as each step has happened, the player has been surprised, if frustrated, but completely understanding that events could have and did play out in such a manner. The background and motivations of the NPC were understood from past interactions. While this is not a situation where a major nemesis has risen, the conflict that has resulted from the interaction between this NPC and the party, particularly this one PC, has fueled a great deal of roleplaying and helped anchor a new PC being introduced into the mix after a previous Player Character death. Pardon me being purposefully vague here on the details but the point is made. You don't need to know everything that is going to happen when running an RPG but if you base what does happen on what has come before and tie it to strongly portrayed characters, the resultant game, as it plays out, will ring true even as it unfolds unexpectedly. Then, even if the campaign is cancelled, you'll be able to look back at a satisfying experience without regrets.